While traveling cross-country in 2002, Craig Carey couldn’t help but notice that every town he visited had a “best burger.” In fact, the regional differences of each burger he experienced during his trip made him wonder, why was there no restaurant that served more than one style of burger? This simple question became the beginning of our journey. In 2005, Craig teamed up with Tom Racosky, an experienced Chef from Houston’s (now Hillstone), and together they started to mold their vision for Big Buns, a burger joint with a rotating selection of delicious burgers and craft beer that felt more like a backyard party than a restaurant. 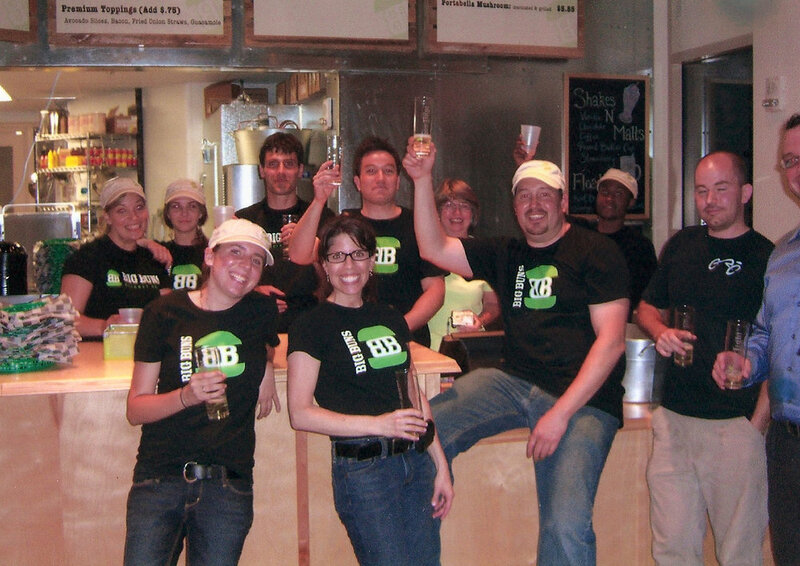 In June of 2007, Big Buns opened its first location in Ballston, Arlington and over the years became a neighborhood fixture. In 2016, while starting to make plans for a new restaurant, Craig, Tom and the growing team spoke about the original vision for Big Buns from 2005 and began to wonder, what would the restaurant be like today if they could do it all over again? This simple question brings us to present day and the beginning of our next chapter. Big Buns Damn Good Burger Co. opened in Shirlington Village on February 14th, 2018. People often want to know the reasons why we've been successful over the years. More often than not, our answer is pretty disappointing because we have no secrets, just a set of core beliefs that have helped guide us — you can read more about our beliefs here.